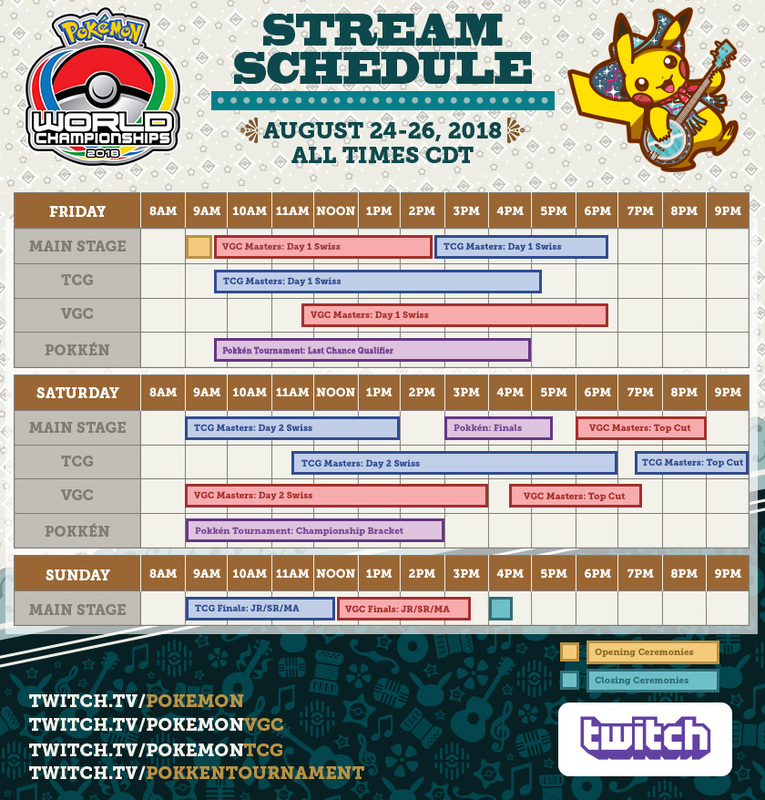 Tune in to watch exciting matches live from the prestigious Pokémon World Championships from August 24–26, 2018. With a combined prize pool of more than $500,000 on the line, you know you'll see the best of the best competing! Expert commentators will help you follow along with the action, so you'll have a good time whether you're a tournament veteran or still a champ in the making. 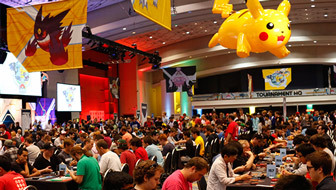 Pokémon Trading Card Game (TCG) and Pokémon Ultra Sun and Pokémon Ultra Moon Video Game Championships (VGC) matches will be featured all three days of the competition, and the final matches of each tournament will take place sequentially on Sunday, starting at 7 a.m. PDT. Pokkén Tournament DX will start off with a Last Chance Qualifier on Friday, followed by the main World Championships bracket and finals on Saturday.